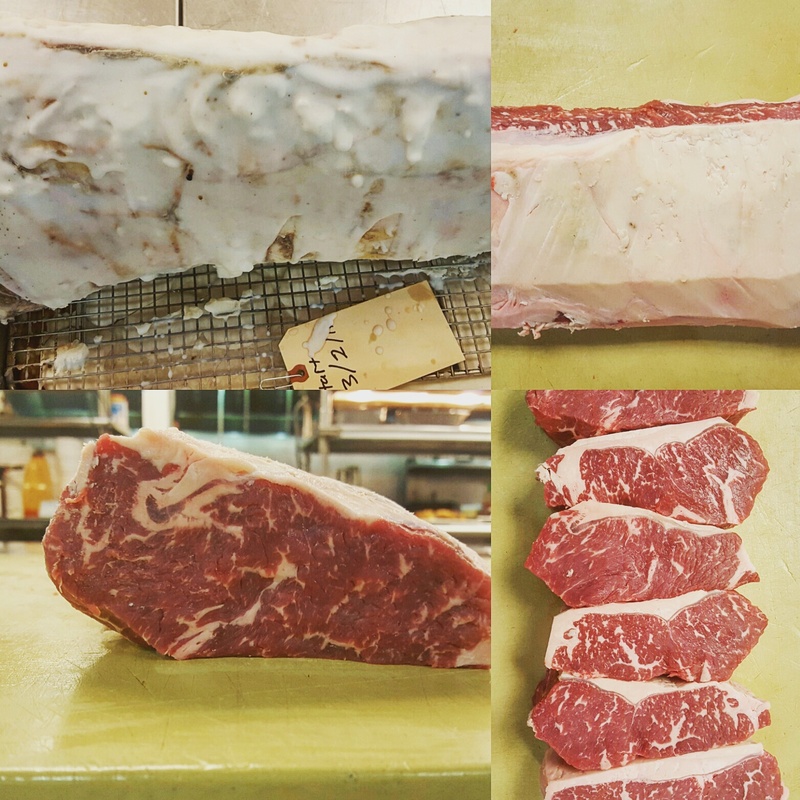 Dipped in its own fat, aged 100 days in our dry aging room. Not a blemish on it, and virtually no wasted meat!!! This is my second attempt at extended dry aging (at least 100 days), and I have finally succeeded. The meat is rosy and pink, with no mold or discolorations. The flavor in the steak comes from natural umami due to the enzymes in the meat creating higher levels of natural MSG without the presence of oxygen. The reason we love Parmesan Reggiano is the same reason we love aged steaks, and that is all due to our good old friend Monosodium Glutamate. Cheers!! This entry was posted on June 12, 2016 at 12:46 pm and is filed under Chef. You can follow any responses to this entry through the RSS 2.0 feed. You can leave a response, or trackback from your own site.